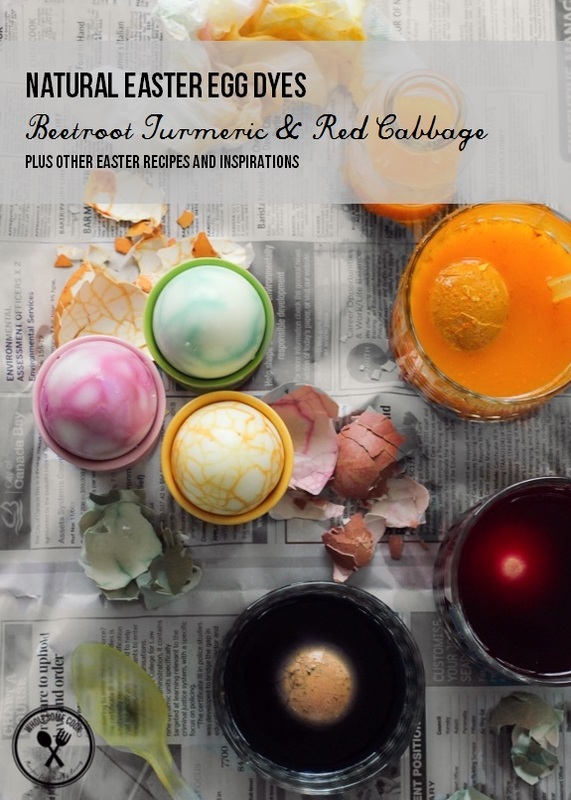 Coloured with three simple ingredients: fresh turmeric for deep orange, beetroot for pink and red cabbage for a delightful shade of duck egg blue, these natural dyed Easter eggs are pretty just as pretty on the outside as they are in. Serve them for brunch with smoked trout (salmon or mackerel would also work), mayo and herbs. Thanks to everyone who has nominated me for the Kidspot Voices of 2014 awards – I have been picked as a finalist and enjoyed meeting a whole bunch of inspirational bloggers at the launch party on Saturday night. You can check them all out here. There’s also time to cast your vote for Wholesome Cook in the Best Australian Blogs People’s Choice here, I’d much appreciate it. Over the next few months I will most likely be working on a project that will see my regular posting schedule slightly disrupted. Don’t despair, I’m not going anywhere and there are some great posts in the making so stay tuned. I’d also love to connect with you on Facebook and Instagram. It’s the place to be if you are after mini recipes, product finds and things you might have missed. 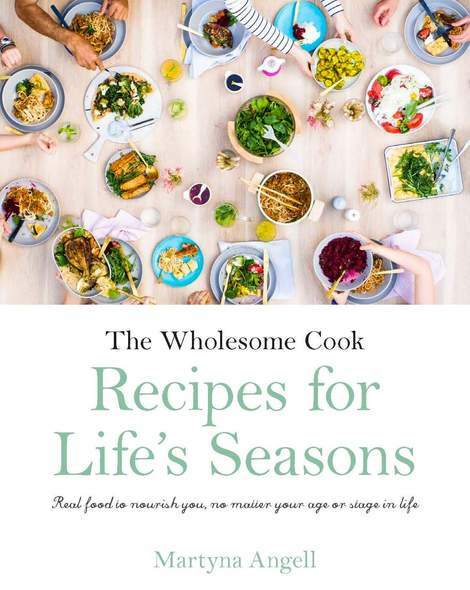 Plus it’s a great way for you to share your #wholesomecook creations – don’t forget to tag them! – Oh My! These Superfood Hot Cross Buns by Cindy at Lük Beautifoods. She is also the maker of all natural, food-based lipsticks! What’s not to love? 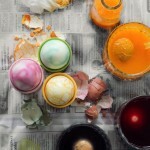 – These Chocolate Cheesecake Easter Eggs look very real. – Cute take on how to serve hommus and carrots this Easter. – Don’t forget to check out the March-April issue of Nourish Magazine for my feature on some Polish Easter traditions and recipes (there’s also a photo of my Mum’s Eater egg creations in there!). And if you like Asian-inspired comfort dishes don’t miss the May-June edition for a delicious round up of a few of my favourites. Keep warm, stay safe and have a very Happy Easter! Eggs: For best results use white-shelled eggs if you can find them (it is virtually impossible to in Australia, so use the palest brown eggs you can find), always organic free-range. Method and Timing: We cracked the eggs before dyeing to colour the egg whites in a pattern, this is optional, but works well for eggs that have already cracked. The dye takes time, longer on darker shells, so you may have to leave each egg in the dye for 2-3 hours. prepare extra dye containers if you want to colour more eggs and multiply the quantity of dye by the same number. Staining: both the turmeric and beetroot dyes can stain porous surfaces such as benchtops and floors. Make sure you work on layers of old newspaper or a plastic table cloth to protect the surfaces. This recipe shows how to dye 3 eggs, one each in pink, orange and duck egg blue. Assumes eggs have been boiled (for 3-5 minutes) beforehand. Serving suggestion follows. Blend beetroot or turmeric with 1 cup warm water. 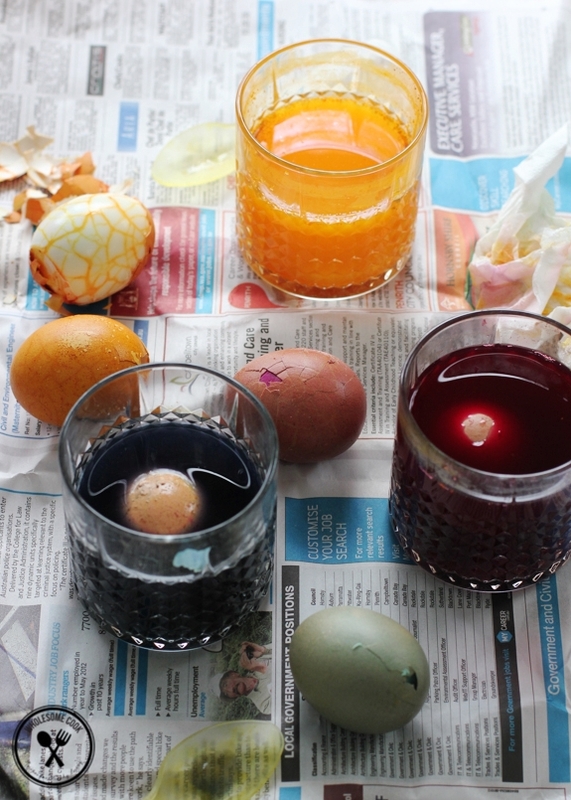 Transfer to a glass or a jar to dye the eggs. Place cabbage in a small saucepan and add 1 cup water. Bring to a boil then simmer for 15 minutes for the colour to develop. Discard cabbage and transfer to a glass or a jar to dye the eggs. Place an egg at a time into the dye and steep for 2-3 hours for a lighter shade, or overnight for a darker tint. Allow eggs to dry on a paper towel. Crack each egg gently all over. Place an egg at a time into the dye and steep for 2-3 hours for a lighter shade, or overnight for a darker tint. Pat dry with a paper towel before peeling. Cut eggs in half lengthways. Arrange on a serving plate. 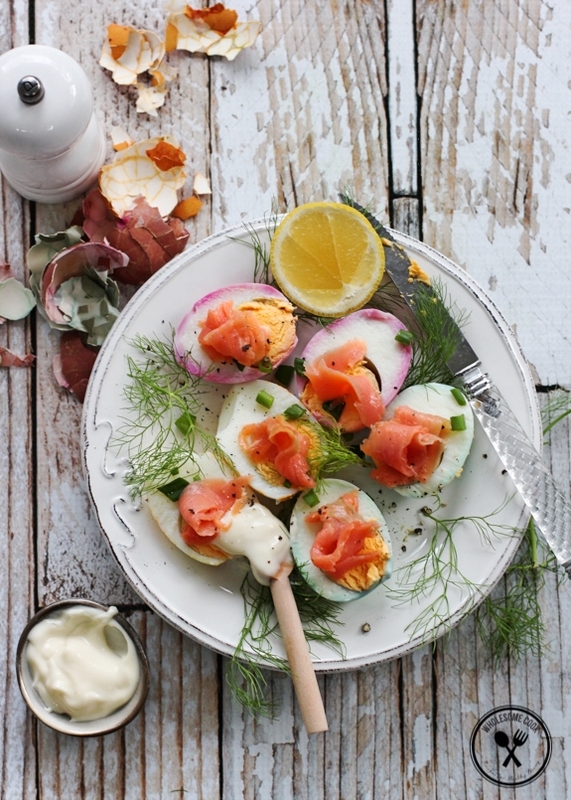 Top each egg with a little smoked fish, decorate with herbs. Season with pepper. Serve with a little mayo and a lemon wedge. Wow! Great work, considering too that you’ve been sick. And congrats on the Kidspot list. Totally deserved. You are an inspiration to me and I’m sure so many others! I will be trying this with my little ones. They love decorating and eating eggs, so Easter is probably even more fun for them than Christmas. And I’m guessing some of the turmeric goodness stays on the eggs too? Congrats on the award lovely.